Before we enter the blog proper, I feel it is important to make a couple of excuses. Firstly, I’m sorry that there have been no new recipe posts in the past week or so, but what I shall call a ‘negative life event’ took place and I haven’t found the time. However, we shan’t go any further into that since I’m not, as you may know, much of a sharer – I simply don’t feel the need. Secondly, this was supposed to be a post regarding a certain rhubarb, strawberry and orange compote. Unfortunately, the fates took time to collude against any honourable intentions I may have held and the photographing of the intended dessert fell flat on its face. I’m extremely glad to be back and I hope to bring you news of my recipe for individual rhubarb and custard galettes as soon as possible. 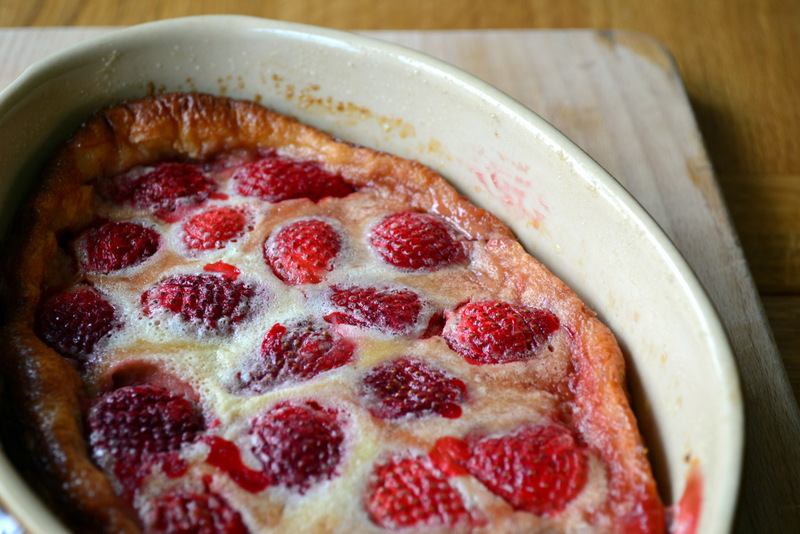 Clafoutis is a baked French dessert made primarily from a sweet, rich custard. They usually contain pitted black cherries, though, as one can see, they are by no means integral to the recipe. This dessert was first brought to my attention last Wednesday when my girlfriend and I were strolling contentedly through Hampstead, in London. We popped into what turned out to be a surprisingly reasonably-priced coffee shop, in which there were free samples of this delicious dessert. Indeed, so delicious was it that we resolved immediately to attempt it as soon as the opportunity presented itself. At this point we had no idea that it would be so simple – it would un-boggle the mind of even the staunchest of inane buffoons. In the past fortnight Britain has undergone rather frightening extremes of weather. Though the weather has been mostly fine, rain has also been a frequent fixture; Aberystwyth received a month’s worth of precipitation in a mere 24-hours. Indeed, this had the effect of swelling several rivers which consequently burst their banks, flooding at least three caravan parks, one of which actually had flood defences – isn’t a little irony fun? Many people were working day and night to prevent basement flooding. Camping can be enjoyable, in the right situation, but spending a little extra on proper accommodation can often prove to be a decision well made. There isn’t an awful lot to say about this recipe, it does what it says on the tin. However, those of you concerned about the choice of flavour needn’t be worried – it works beautifully. Strawberries, when soaked in pimms, take on a rather delicious flavour which causes the tongue to tingle a little, an experience best likened to the act of indulging in a sherbet dip. Anyway, I have rambled on for quite long enough and am in danger of alienating those of you who don’t like to read more than 500 words in one sitting. Doing such a thing bores me to death if the writing is anything but exemplary. Please, enjoy this taste of the British summer! 1. 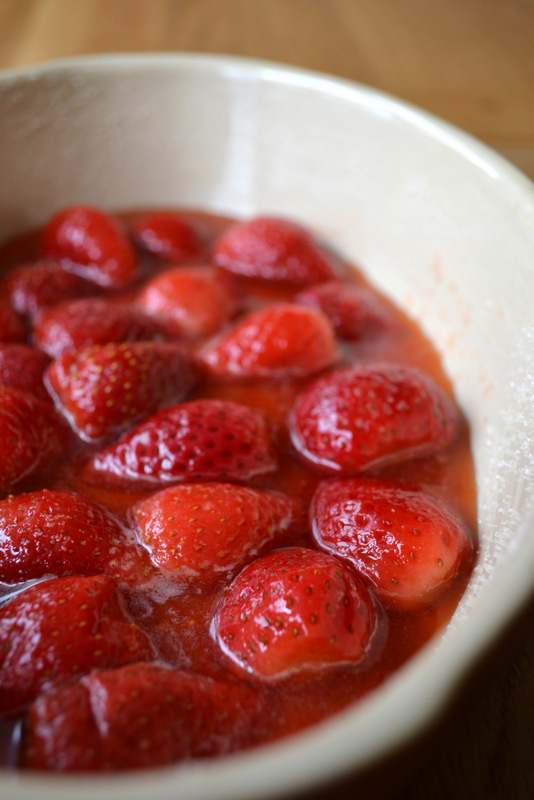 Put the strawberries in a bowl, along with 1 tbsp of sugar and 45 ml of pimms. Allow to soak for an hour. 2. Meanwhile, whisk together the eggs, 100g of sugar and flour. Pour the milk and cream into a pan and heat gently until they reach boiling point. Whisk the creamy mixture into the egg and sieve into a bowl. Cover and set aside until the strawberries have finished soaking. 3. Preheat the oven to 180C. Butter a large, but shall oven dish and sprinkle with sugar. We used two smaller dishes. Spoon the strawberries, along with a little of the pimms, into the dish. 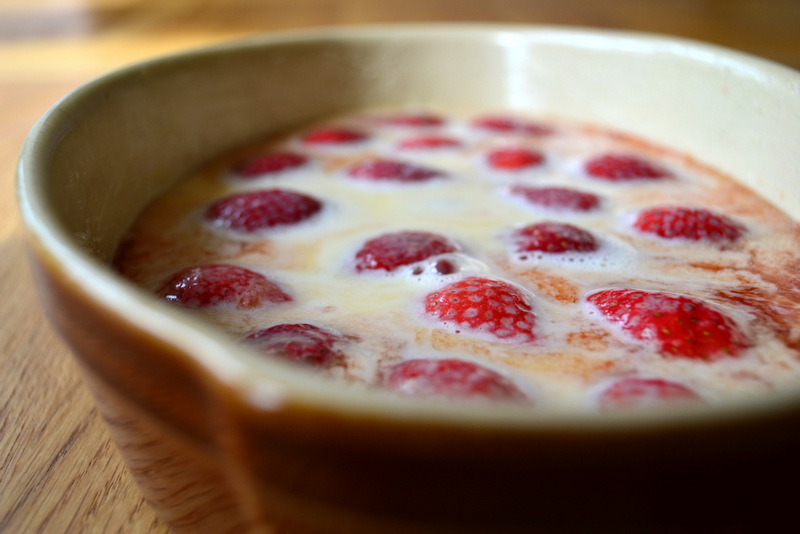 Pour the custard over the strawberries and bake until golden brown but just set – between 40 and 50 minutes. Cost: The British strawberry season appears to be in full swing as they have really come down in price. As such, this sumptuous dessert should set one back around £3.60 – less than £1 per person. hey frugal, you’re hard to find on the “reader” ~ i might just have to subscribe! Oh no! I contacted support and I was told to direct those of you who can;t find me to them. Definitely subscribe 😀 Thanks… it was bizarre. 2 of my favorite things. In a word- brilliant! Might you guest post this on my blog and i will convert to American measurements? Thanks, Jereme. They were really lovely. No. 1, I presume? Looks great, Frugal! 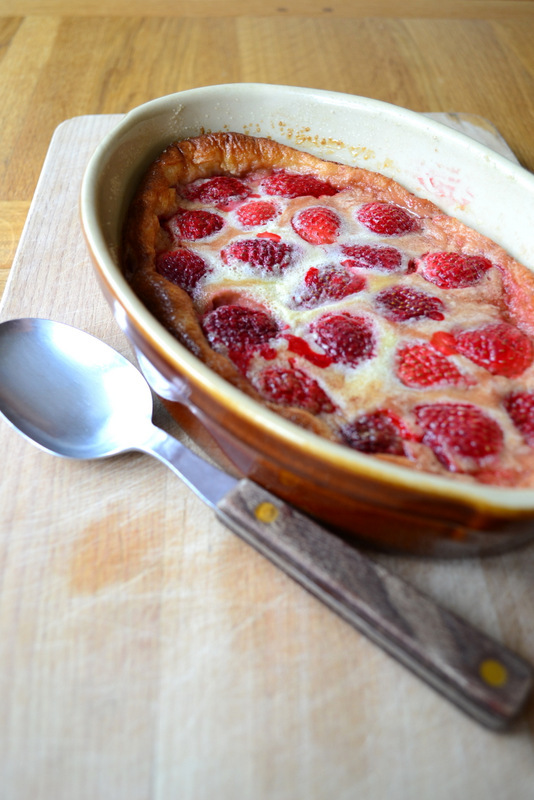 I love clafoutis of all kinds. Oh yes, should have mentioned that… Thanks, Michelle! Thanks, Carol! Yes, we’re dealing with it :D. Clafoutis always helps. I will be making this for sure – I LOVE strawberries, the ultimate summer thing! Thanks! I’m glad to be back. You definitely should! 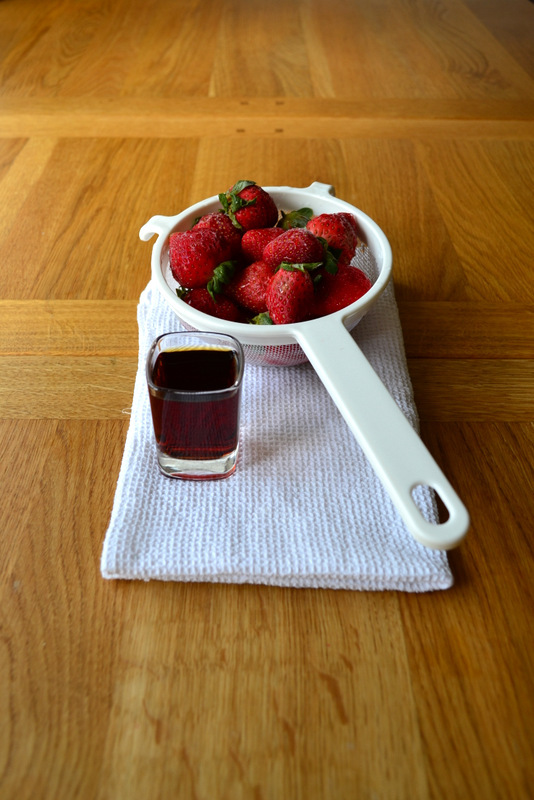 Strawberries and pimms – glad you’re embracing summer even if the weather isn’t, Frugal! Brilliant idea for a summer clafloutis. Thanks! 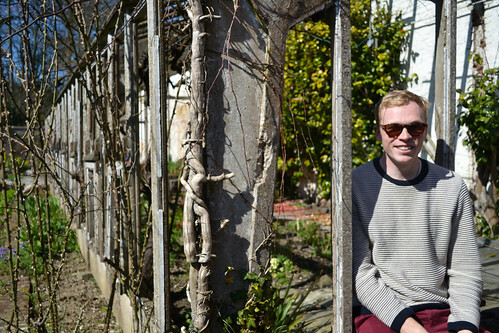 It’s the Brit in me… we attach ourselves to any sort of sunshine. Sorry to hear of the negative life event but love this dessert! Delicious. Thanks! It was SO nice. Love it! I have guests for lunch tomorrow and this looks within my capabilities. I may try with rhubarb as have an abundance in the garden. Rhubarb and pimms? Could work. Thanks! That would definitely work! This is such a great, great idea!! Hope things are looking up for you. oh that looks so so delicious!! i love the strawberries…yum! Thanks! I’m so loving strawberries at the moment. Wow. I love this. And I love Pimms. Thanks! IT;s one of my favourite drinks. A great take on a French classic – and strawberries soaked in pimms are indeed a delight! Thanks, Claire! They really are – so tangy. I can’t believe I almost missed this (didn’t come up on my WP Reader). I’ve never had Pimms or clafoutis but now I definitely want to try both – separately and together! Oh no! Perhaps you should e-mail support about that? Apparently there’s nothing wrong on my side (that’s what they told me). You should. Pimms is INCREDIBLE. Stunning! Will be making this when I am back home in Spain with some of my precious Pimms supply. Sorry to hear that things have not been so good recently, wishing you well. Sounds like it’s been a long couple of weeks, hope it’s all good now. Lovely recipe! Strawberry and Pimms? Together in a clafoutis? Wonderful idea! Oh yes… these things have to be done. Thanks :D… no one wants the French to win really. This is true. Kind of sad, really. That sounds yummy too. I have a peach recipe on the horizon. Very cool combo. I always add an extra shot though, just to give the cook a bit of fortification! Yes, you totally must :D. Thanks! Thanks! Isn’t is just wonderful? Well, I’m not past it, but I’ve come to terms with it. Our weather is silly. Wow! This looks ace. 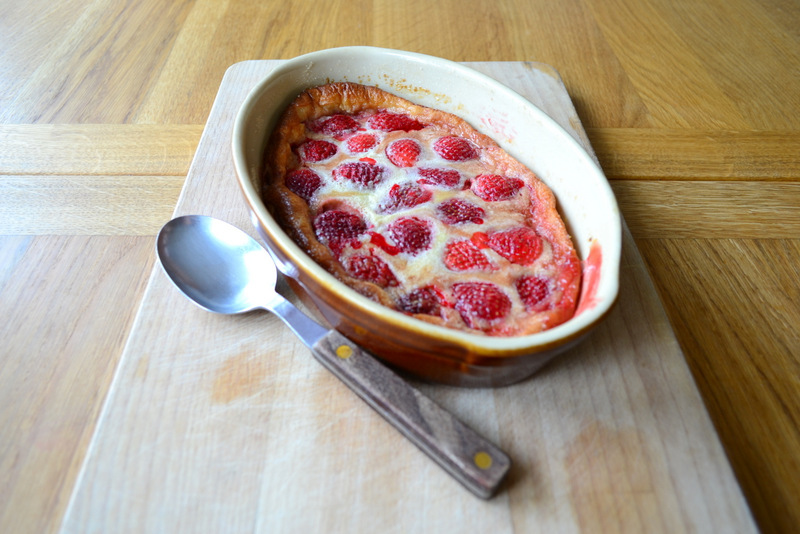 I literally just blogged a Strawberry and Pimms Tiramisu recipe just a week or so ago. Thanks! What a coincidence – I shall check it out. Mmmmm Pimms…..& strawberries….in a dessert, heaven. I’m just about to do a savoury clafoutis with cherries, goats cheese, purple basil & pistachios & having been scouring the shops all morning for a cherry pitter but to no avail! Just read another recipe where they leave the pips in, I’m going for that I think, desperation! It’s my first clafoutis, wish me luck! It was totally heavenly :D. That sounds amazing! I’ll have to try it. You could always halve them? Beautiful recipe to come back to! Thank you for visiting my blog!! This recipe looks delicious!! I absolutely LOVE strawberries… I will have to try this soon! No problem, Laura! I hope you do. Beautiful but then you had me at strawberry and pimms. I oggled your food then I had a laugh about you saying booking proper accomodation would be wise in the rain and flooding – should of read that one before I went camping in the VW! Then I panicked when you said about the 500 words for a blog post – yes I know but it’s so hard to tell a story in less than 500 words. I tell you what it will be my personal challenge but a tough one! Haha – I had myself at strawberry and pimms. Oh a VW is fine, much better than a tent. Haha – I was always taught that a paragraph longer than 250 words isn’t worth writing. Haha – i’m sure it was still absolutely delicious. Can’t wait for the strawberry season to do this, it looks wonderful! Amazing and very inspiring blog, thank you!